When reviewing the photos I took of wild parsnip I noticed that there were many insects among the tiny flowers. The odd thing was the number of different kinds of pollinators who were present. It drew my attention to see several kinds of insects on the one type of plant. Was this because of the great taste of wild parsnip pollen? Or the fact that there were many flowers to collect the pollen from? 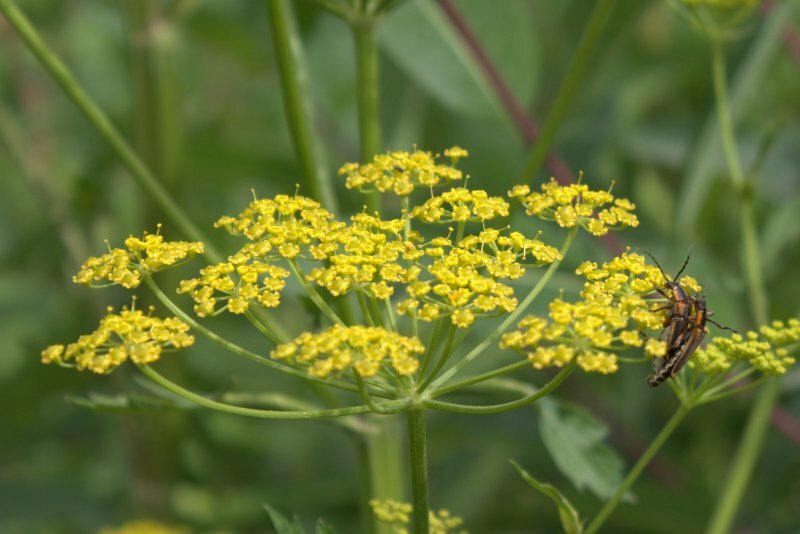 Here’s a series of photos that show ants, mosquitoes, flies of various kinds, bees and wasps alighting on the wild parsnip umbels. A little beetle love happening on a wild parsnip umbel.